Whether you’re checking out Sparta Evangelical Free Church for the very first time or you’ve already spent a few Sundays with us, we’re honored that you would set aside time to pursue God with everyone who calls Sparta Church their home. And in case you were wondering, you don’t have to dress up or look a certain way. You don’t have to be any particular age. It doesn’t matter where you're at with God. This is a place where God meets people who aren’t perfect, and no matter who you are or where you are from, you are absolutely welcome here. We gather collectively as a church to hear about Jesus, to worship, and to serve one another through community and prayer. 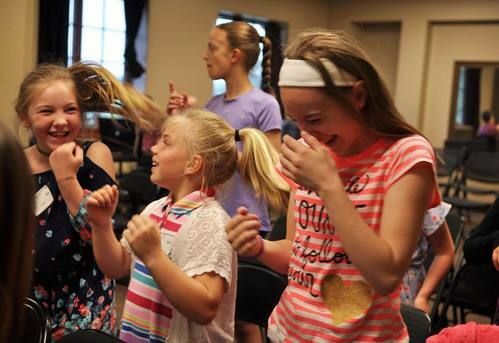 You can expect a friendly welcome, a dynamic children's program, and relevant teaching that will inspire, encourage, and challenge you to know more about God. A typical service will last about 75 minutes. We sing a good mix of contemporary and traditional music that is led by our worship team, followed by prayer and a Bible-based message to encourage us to grow in our faith and relationship with Jesus Christ. Our time together in God's Word is an opportunity to slow down our busy lives and connect with God. We offer Biblical truth through practical, relevant teaching that relates directly to real life. Plan to hang around before and after the service for fellowship, coffee, and meeting new people. We have secure children's check-in and a ton of programs designed just for kids from infants to 6th grade on Sunday mornings from 9:45am - 12:00pm. Jr. High and High school students meet on Sunday mornings at 9:45am for relevant Biblical teaching. Most of us dress casually, but if you would like to dress up for the service, you won’t stick out, Just dress in what's comfortable for you, and you'll be fine. Feel at home on more days than one. 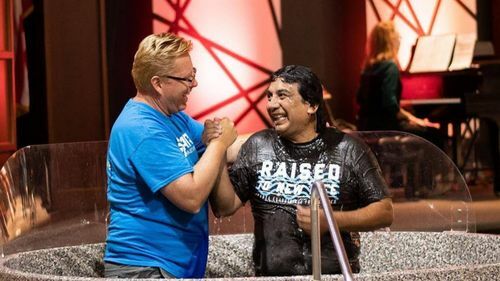 We have plenty of opportunities to connect during the week: LIFE Groups, special events, and volunteering for everyone from students, young adults, women, men, our Hispanic community, and Young at Heart. A nursery is available for children 0 - 5 during both services, and a children's worship service for ages 6 - 6th grade during the 11:00am service. Please register and check in your children at the kiosks. Safety is paramount. We use a secure check-in system that gives a unique code each week to the child and guardian to use for drop-off and pick-up. 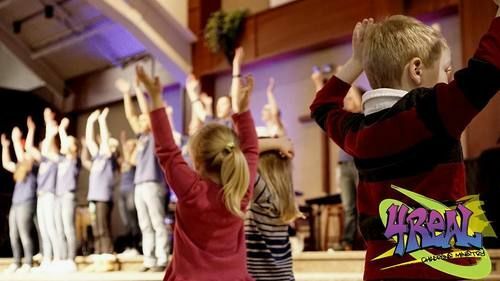 Our Children's Ministry is divided by age into three groups—Nursery, Preschool and 4REAL Kids—with each having a time of worship, prayer, and interactive lessons. We also offer Sunday School classes for children ages 2 - 6th grade. We are a church that loves kids! Traducción en Español a las 11:00am. Welcome to our church! Whether you checked out Sparta Evangelical Free Church for the very first time today or you’ve already spent a few Sundays with us, we're glad you're here. Our team would love to serve you and help you get connected. Please add me to the church's weekly newsletter. Please sign me up to recieve urgent prayer requests from the church.